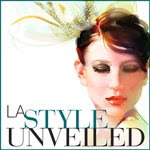 The fabulous blog, LA Style Unveiled is having a fabulous giveaway! When I was planning my wedding, I had to have tons of resources in front of me...books, magazines, websites! I just couldn't get enough of all those fabulous Planning books. Jomygoodness and LA Style Unveiled have teamed up to give away a whole stack of 10 wedding planning books!! Yes, you heard right!! This is a major giveaway and will help you or someone you know plan their wedding with ease :) So, what do you have to do to win this amazing prize?! ?